This application was the company’s first foray into cloud computing where the Azure cloud sat between a web front end and the company’s SAP back end. 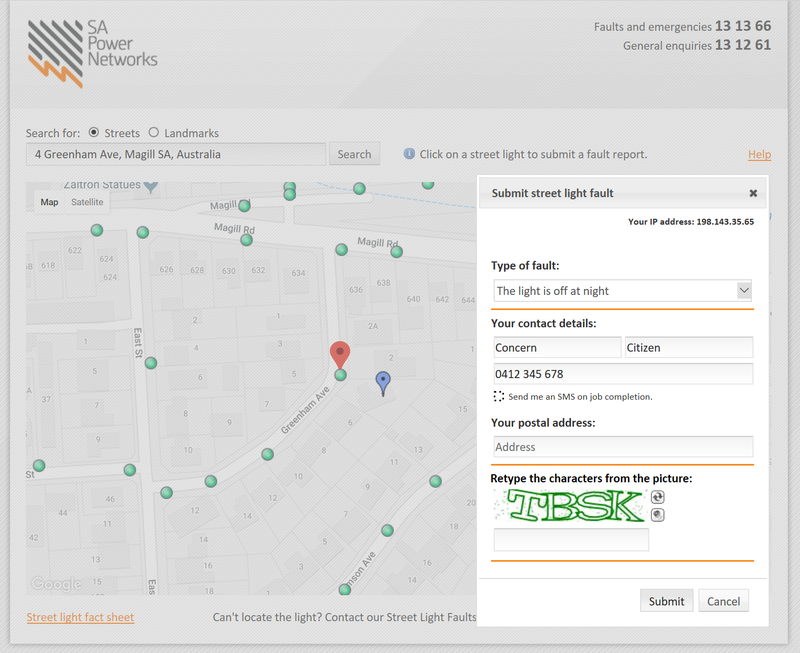 It allows customers to report faulty street lights and claim a reward if the repair doesn’t occur promptly. It also acts as an isolation layer that protects the company’s critical infrastructure. This project was the subject of an article on public utilities in the cloud at The Australian. This was built with one of my teams from SMS, including several of the best software developers I’ve had the priveledge to work with, consisting of Shae Griffiths, Tim Schneider and Ben Petito. While this is only functional in South Australia, it can be seen at https://slo.apps.sapowernetworks.com.au/.